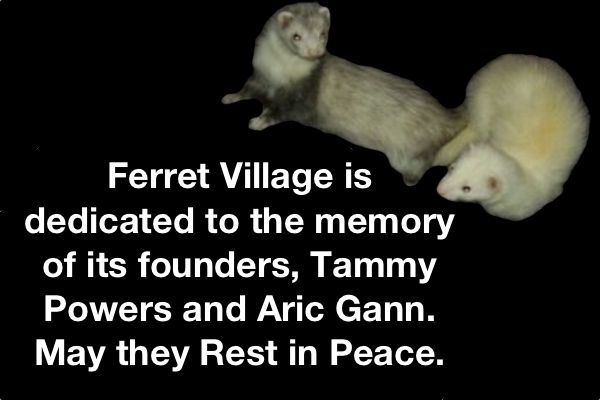 Thankyou for your support of Ferret Village over the years. I have decided to close to site as it doesn't get much attention anymore. If you wish to contact me, please find me on Facebook here.